The simple past tense of regular verbs in English is not complicated or hard to learn. 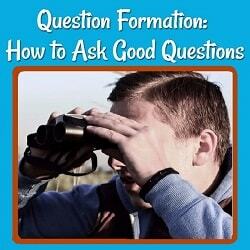 We form it by adding ‘ed’ (or ‘d’ if the verb ends in ‘e’) to the end of the base form* of a verb. Except for the verb ‘be,’ verbs are not conjugated in the past tense-- we use the same simple form for every person, singular or plural. "Before I married, I lived in central California, but one brother lived in Oregon. Another brother and sister lived on the coast. We all liked to get together, so we visited each other when we could." tape (fastening with tape) becomes taped. 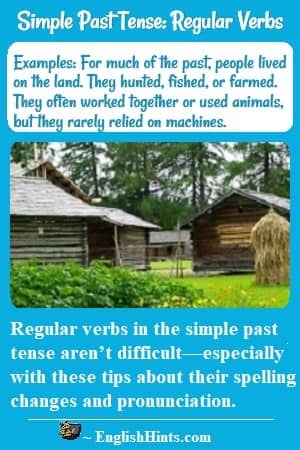 These pasts could easily be confused with the past tense forms of:hop, mop, plan, pin, rob, or tap.This second group of verbs end in a vowel and one consonant, causing that vowel to be “short.” If we just added ‘ed’ to them, they would look just like the “silent ‘e’” verbs above. We do not normally add an extra syllable when we change a verb to the past tense. It’s easy to add a ‘d’ sound after a verb ending with a vowel or voiced consonant sound, like play or call. However, if you try to pronounce a pure ‘d’ after an unvoiced ending sound, such as in ‘cook’ or ‘hope,’ you will add a syllable : cook-ed or hope-ed. (It's not possible to pronounce a pure 'd' sound in the same syllable,) So with unvoiced endings we pronounce the ‘ed’ with a ‘t’ sound. In words that end with a ‘d’ or ‘t’ sound we DO add an extra syllable (pronounced ‘id’), because otherwise we could not hear the difference between the past and the present tense of those words. So we pronounce such words need-ed, want-ed, pro-vid-ed. Ending sound pronounced ‘d’: believed, called, cared, loved, seemed, tried, turned, used. Ending sound pronounced ‘t’: asked, brushed, coughed, fixed, guessed, helped, looked, talked, watched, worked. End with a ‘d’ or ‘t’ sound:-- add another syllable (sound of ‘id’) : acted, ended, hated, needed, provided, rotted, started, wanted. For more on the relationship between spelling and pronunciation of these words, see English Vowels. 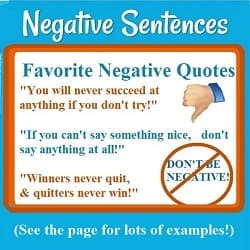 Negatives and questions are formed the same way in the simple past as in the present, usually using ‘did’ (the past tense of the verb ‘to do’) or another helping verb like ‘could’ (past tense of ‘can.’) As in the present, the main verb will be in its base form, not its past form. Jim finished his essay at the last minute. Did Sue finish hers? No, she didn’t finish it in time. Did you help Sue with her essay? No. I couldn’t help her. Anyway, she didn’t ask for help. Mary worked at Washington High School from 2006 to 2011. Did you work with her there? No, I didn’t start working there until 2014. Even with these minor complications of spelling and pronunciation, the simple past tense in English is not difficult to learn. The difficulty is in remembering the many irregular verbs. Don’t let them scare you! Go to Irregular Verbs and the practice pages mentioned there. Learn the most common 20 (just one past and one participle form each) for a good start on using the past tense in English. Whenever you can, study another list. When you have learned and practiced them all (only about 65 more verbs), you will have all the forms you need to speak and write confidently in the simple past tense. home> English Verb Tenses > Simple Past Tense.